A fun and reverent look at the nativity! 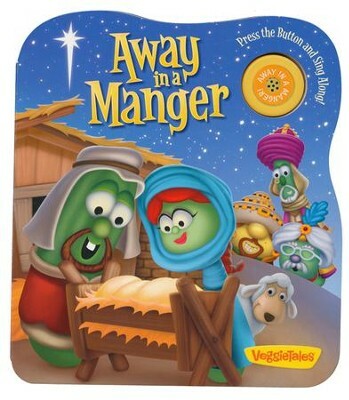 VeggieTales characters tell the story of Jesus' birth with the classic carol "Away in a Manger"---sung by Junior Asparagus at the press of a button. It will keep your toddlers talking and singing about the real reason for Christmas. Ages 2 to 5. 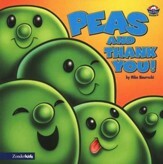 Children will love this musical board book! 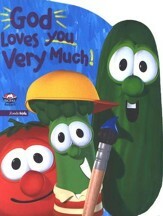 The VeggieTales characters star in this story of the birth of Jesus, told through the verses of 'Away in a Manger.' The sound button triggers the carol, sung by the familiar voice of Junior Asparagus. This fun yet reverent Nativity book is a great way to keep toddlers talking -- and singing -- about the true meaning of Christmas. Ages 2-5. I'm the author/artist and I want to review Away in a Manger.